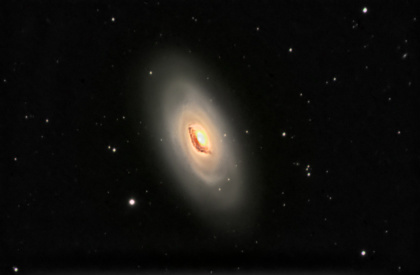 M64/NGC4826, a LRGB and a LLRGB picture, exposure time LUM=12*4min.+2*10min., R=6*4min., G=6*4min., B=6*4min. Astronomik filters used. Dark frame subtraction done and additionally an IDAS LPS 2" filter used. Taken with Meade LX200ACF 16", Optec NextGEN Wide Field 0.5X reducer and SBIG ST-8XME; 19. April-09.